Songs for Young Women is the first album from Inspirational Music Showcase. 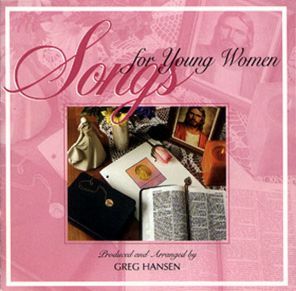 It's a collection of the most beloved songs of Young Women and their leaders; songs recognized for strengthening the values of a Christ-centered life. Profound messages of faith, service, testimony, and our relationship with Christ are conveyed through inspirational words and enduring melodies, beautifully performed to edify and inspire. Songs for Young Women features refreshing new arrangements of timeless, enduring favorites, and two inspiring new songs. Download the songbook from LDSMusicNow.com or MP3's from LDSTunesNow.